Affiliate marketing isn’t a new trend. It’s been around for years. In fact, Amazon Associates, which is one of the first online affiliate marketing programs, has been in use since 1996. However, with advances in technology like the rise of mobile devices, affiliate marketing is evolving extremely quickly. This means that if you haven’t considered affiliate marketing in the past, it may be time to give it another look. Before we go any further, what exactly is affiliate marketing? Affiliate marketing is a way for a blogger or anyone involved in online marketing to make money by promoting products and services in exchange for a commission from the sales or leads they drive. This is usually accomplished when a merchant or web advertiser places a banner ad, button, or link to a website site. The webmaster will be compensated when a visitor clicks on that link or makes a purchase through that link. 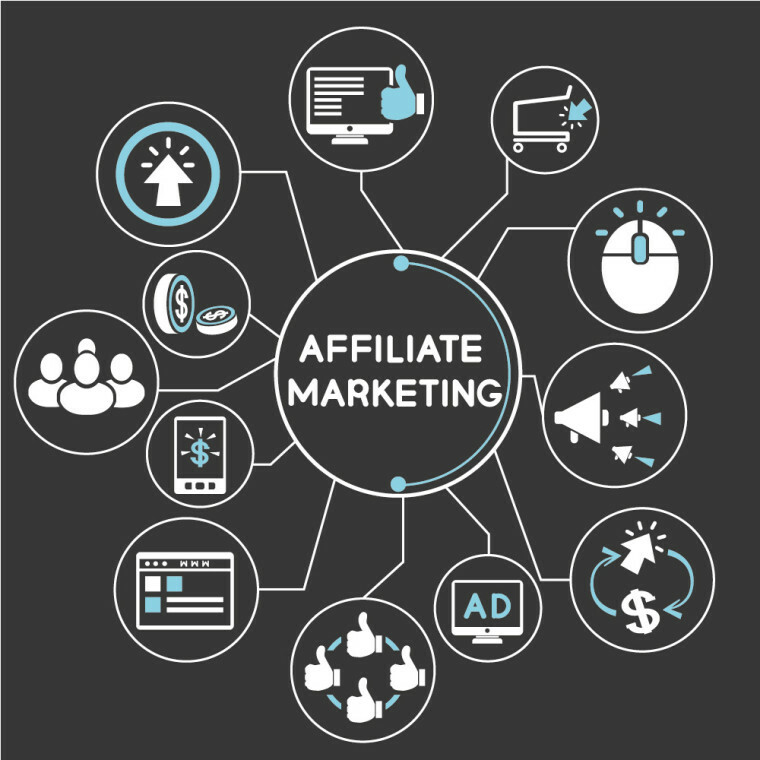 While making some additional income sound great to most of us, affiliate marketing does present some appealing benefits. It’s quick and easy to set-up. Find an affiliate program that fits within your niche, sign-up, and paste the tracking code onto your site. That’s not to say it doesn’t involve any sort of effort, however. You don’t need to be a marketer. Don’t worry if you don’t have a marketing background. Most programs provide you with all the materials and handle all of the marketing and transactions. Reach a larger audience. Affiliate programs already come equipped with a built-in audience. Small investment. You don’t need to purchase an inventory and most programs are free to join. Steady income. Once you understand affiliate marketing you can earn a steady income as you have an internet connection. Best of all? It’s something that you can do on the side. That’s not to say that are some problems with affiliate marketing. And here are some of the most common concerns. You’re not in charge. Since the program is running the show, you really have no control of the offers and products or services. High commission. Since affiliate marketing involves a middleman, they get a cut of the money you make. Lots of competition. There hundreds, if not thousands, of affiliates. This means that it can be difficult to stand out from everyone and you’ll be competing against seasoned marketers. Pay on sale. You could drive a ton of traffic to the merchant’s site, but you only get paid when a sale is completed. Even worse, if the merchant loses a sale because of a bad offer, you still miss out on the sale. Scams. There are a lot of fraudulent affiliate programs out there. So you need to be careful when choosing a merchant.